Being strategic with your time as a marketer comes down to prioritizing what you’re working on and grasping how long different tasks take to successfully complete. The right mix of content worth investing in will differ for every company based on their goals, audience and its team’s skillset. Knowing how long different types of content take to create can help your team make more informed planning decisions around what’s worth committing to. Not to mention, having a sense of the time commitment content requires acts as another data point to reference when analyzing the impact of your marketing. 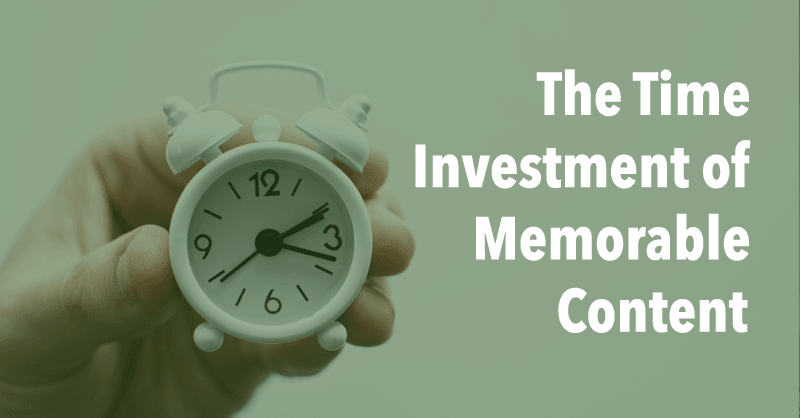 The time a content task requires is often overlooked when calculating its return on investment, as compared to the cost. But, both are important factors to keep in mind when measuring success. It’s not important to be the fastest at creating content or the one that goes into the most depth, but it is essential that your content helps your company achieve its goals. Other than experimenting with creating content yourself, which can be time-consuming, reference how long it takes other companies to develop worthwhile content. With that in mind, I’ve conducted a range of short interviews with content creators I admire in different industries to see how long it takes them to create content they’re proud of. When reviewing the examples provided by these companies, don’t take their advice as the only way to approach a certain marketing task. There are no absolutes here! Instead, consider their experience as a reference point to learn from and apply to your own approach. There are many content examples here to provide a diverse range of experiences, use the table of contents below if you’d like to skip ahead to a specific type. 1. First Round Review, a publication produced by First Round Capital, publishes interview-style articles that range from 3,000 to 4,000 words about entrepreneurship. Each article takes two to three weeks to complete from start to finish. Here are more insights on their approach from Camille Ricketts, the Head of Content and Marketing at First Round Capital. What’s the process from behind the scenes? Producing an article takes a number of steps before writing because our pieces are all interview-based, so we do a pre-call where we nail down a topic in tandem with the subject and a longer interview where we delve into details before we sit down to write. The writing itself can take between four and eight hours depending on the length and complexity of the piece. But the entire process with all these steps ranges between two and three weeks. What part of the process is the most time-consuming? The most time-consuming step is definitely the writing itself. We focus a ton of energy on quality. Our lofty goal every time we write is to produce a blend of the Harvard Business Review and the New Yorker. We want to provide extremely tactical business advice, presented in a warm, conversation and descriptive voice. This takes a lot of time and craft, which is why it can sometimes take up to eight hours to finish something that makes us proud. Why have you taken this approach to content? 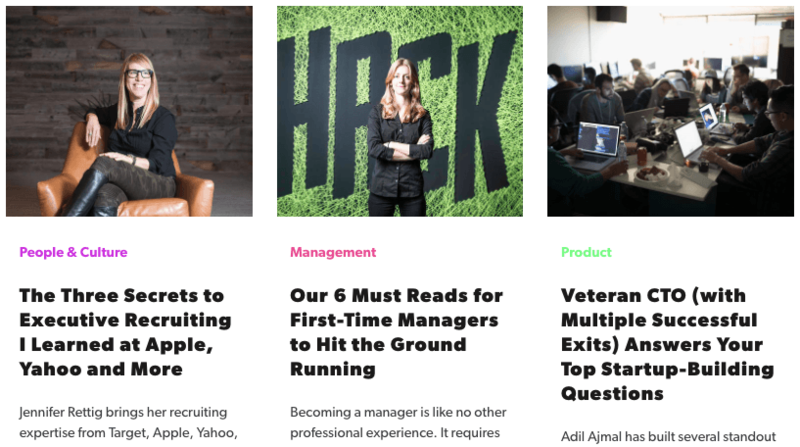 Early on in First Round’s pursuit of content marketing, we noticed readers gravitating toward longer pieces that took a more comprehensive approach to the advice being shared. Our readers don’t just want to get a sense of how to think about doing something — they want steps for exactly how to do it. They want manual-like tips and tricks to follow. This requires length, and examples, and rich detail. So that’s how we ended up with our long-form recipe, and it continues to work well to this day. 2. Furthermore is a publication created by Equinox that primarily publishes articles in the 500 to 800-word range about healthy living, workouts, recipes, travel and more. Each article takes one month to complete from start to finish. Here are more insights on their approach from Sheila Monaghan, the Editor-in-Chief at Furthermore. We plan our content calendar about a month out. We give our writers about two weeks to submit their first draft and then use the remaining two weeks for revisions and fine-tuning. Our proprietary visual assets (photos, gifs, videos) are also long-lead; we try to plan those several months in advance, when possible. I would say ideation. A lot of sites are responsive and chime into what everyone else is talking about. We put a lot of time into speaking to the best experts to create content that drives and changes the conversation. There is no shortage of health and fitness content out there, readers are inundated. But what sets our content apart is how well-produced and thoughtful it is. We are speaking to a highly-educated reader and want to supply them with equally intelligent content that’s also beautiful; we have committed to taking the time required to do so. 3. 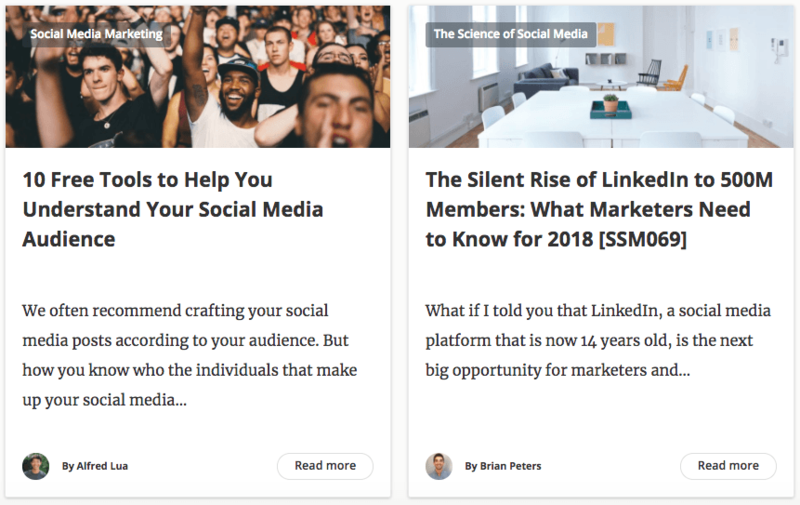 The Buffer blog is the content arm of Buffer known for its articles of 1,500 to 3,000 words that cover marketing and social media. 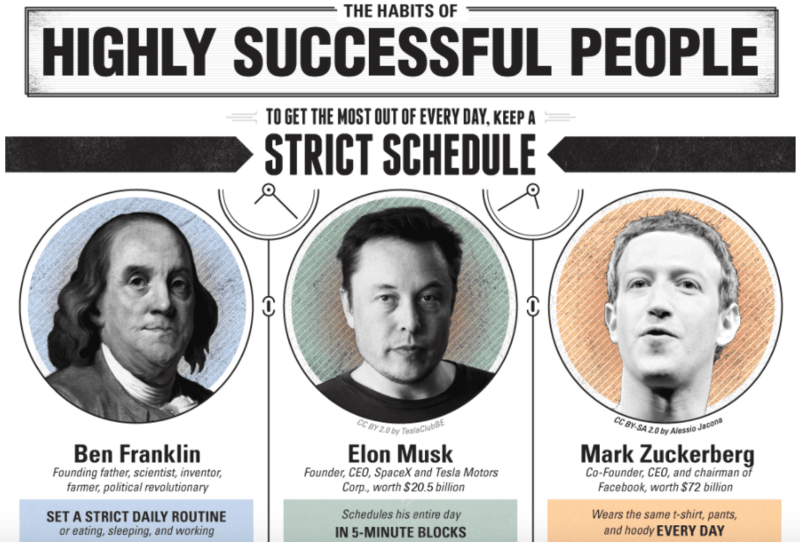 Each article takes eight to ten hours to complete for Alfred Lua, a Content Crafter at Buffer. Here are more insights on his approach. It takes me about eight to ten hours, including research, writing, and creating graphics. Some of my teammates are much faster than me. It depends on the topic. Sometimes, it’s researching for examples. Other times, it’s writing the article itself. We aim for our articles to be in-depth and actionable as that’s what our readers like. So we put in a lot of effort in finding great examples and going into the details. 4. 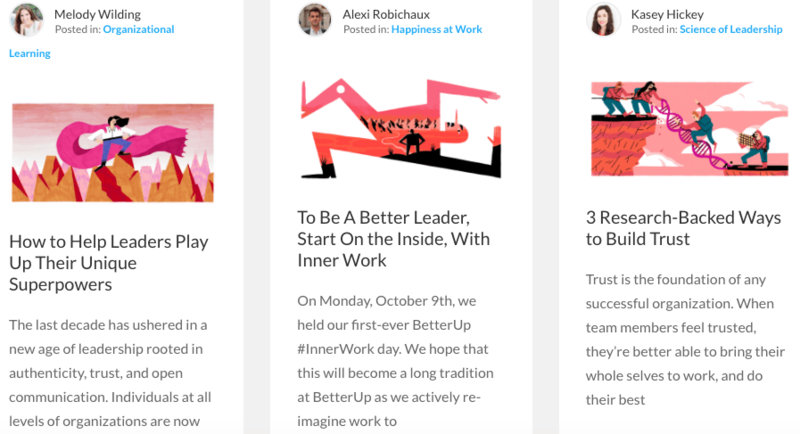 The BetterUp blog is the content site run by BetterUp where most articles range from 1,500 to 2,000 words focused on leadership development. Most articles take one to two weeks to complete from start to finish. Here are more insights on their approach from Kasey Fleisher Hickey, the Head of Content Marketing at BetterUp. This really depends! Our company is grounded in science, so everything I publish has to be scientifically-sound. That said, I always work with an “expert” — either in-house or someone on our science board or extended network — in order to provide the latest and greatest research and data to support any story we’re trying to tell. For most articles, the turnaround time from start to publication is about a week or two; this usually includes outlines, three to four rounds of revisions, interviews, research, and creation of corresponding illustrations. Usually the revision process. There’s a delicate balance of making sure that our content fits our brand voice, but also allows the author and/or expert’s voice to shine. It definitely takes some back-and-forth and fine-tuning. After that, I’d say picking and choose which topics to tackle, and headline writing, which I cannot emphasize enough! Right now, we publish about one piece of long-form content per week. My approach has always been quality over quantity and this structure and cadence feels right, and is what our audience seems to be responding to. Some of our content pieces have been shared over 5,000 times, which for me as a content marketer, is really exciting. We’ve really focused on painting the landscape for people around learning and development from a Whole Person perspective, and how coaching plays a critical role in helping individuals change their behavior — which of course, extends to an entire organization. Now, with a good foundation, we’re in a good place to begin to explore other types of content as we continue to hone in on our voice. I’m excited! 1. Nowsourcing is a Kentucky-based design agency that creates infographics for companies like Adobe, Google, the BBC, Forbes and others. The agency’s infographics take one month to complete from start to finish. Here are more insights on their approach from Brian Wallace, the founder of Nowsourcing. The length of the infographic varies according to the topic and the client. It’s like your teacher said back in high school – it’s more important to focus on answering the question than it is to worry about the page length. We pay attention to engagement or reading time which is usually about a three-minute read. Because we often have many different projects going at a time it’s hard to say exactly how long it takes to produce one infographic from start to finish. They all go through a lengthy process from ideation to research to design to promotion. Just doing a piece is about a month’s work and the typical project lasts about two to three months. The reason we do infographics this way is to ensure they are produced well as each team member is assigned to a different part of the process based on their skillset. It’s important to allow your team to contribute to the best of their abilities. 2. Lemonly is an infographic design agency based in South Dakota that produces infographics that are typically the size of a one-page document for brands like Kodak, Autodesk, Netflix and others. Most of their infographics take three to four weeks on average to complete from start to finish. Here are more insights on their process from John T. Meyer, the CEO and co-founder of Lemonly. A typical infographic is about a page of content in a document. Typically we have a header with an intro sentence, three/four sections, and a closing section featuring a CTA. Pro-tip: Lose any paragraphs. Instead, try bulleted lists and condensing as much as possible. With time for client edits and feedback, it typically takes three to four weeks on average to produce an infographic from end to end. Most people don’t realize that there are many steps before the design stage though. Before the design phase, we have the copy and layout of the infographic finalized so the designer can truly focus on the design of the story and data. We use infographics to tell our clients’ stories because they are so much easier to understand than looking at six pages of a document, a giant spreadsheet, etc. Whether the infographic is static, animated, or interactive, they all use compelling visuals to both grab the audience’s attention and keep it. With human attention spans growing shorter by the second, using visuals to help stand out is something that will only continue to grow in practice. 1. Amy Schmittauer Landino is a video marketing coach, speaker, best selling author and a YouTuber that regularly publishes five to ten minute long videos on her YouTube channel. With over 80,000 subscribers to date, she regularly covers how to succeed with video, marketing, career development and starting your own business. Each video takes four hours to complete from start to finish. Here are more insights into Schmittauer’s YouTube channel. The average video at the start of my channel was three to five minutes long where in recent years they’ve been five to ten minutes long. On average a video has been filmed, edited and customized for upload in less than four hours. Depending on the format of the video, it can be editing. Other times it’s the research/outlining process in preparation for filming and SEO optimization. It’s what comes most naturally to me. I started creating videos in 2007 before I ever had a content marketing strategy. It’s my best communication platform. 2. Sunny Lenarduzzi is a social media strategist, video marketer, speaker and YouTuber that regularly publishes videos under ten minutes on her YouTube channel. With over 120,000 subscribers, Lenarduzzi shares videos about social media marketing, being your own boss and growing a business. Each video takes two to three hours to complete from start to finish. Here are more insights into Lenarduzzi’s YouTube channel. I try to keep my videos under 10 minutes, as viewer retention is one of the most important metrics to succeeding on YouTube. I do have some longer tutorial videos because it isn’t possible to explain all of the steps in under 10 minutes and the viewer will watch each step to get the end result. When I was editing my own videos, I got the entire process from shooting to editing down to about two to three hours a week. I would say it’s the scripting. I research search volume for all of my topics before I actually create them, so it can take a while to land on the perfect concept. YouTube is a search engine and I know that my community is searching for answers in how to grow their business and brand online and I want to provide those answers and offer the help I wish I had when I was starting my business. 3. Marie Forleo is an entrepreneur, writer, philanthropist, founder of B-School and the host of MarieTV on YouTube that reaches over 430,000 subscribers covering how to succeed in business and at life while acting on your passions. Each video takes about two to three days to produce from start to finish. Here are more insights on their approach from Tana Parrot, the VP of Business Operations at Marie Forleo International. The most time-consuming part is the initial writing and producing. The reason we’ve taken this particular approach to creating content is because our goal is to create and share the best, highest-quality free content for our audience. 1. Facebook Posts: HelloFresh is an international meal kit delivery service that consistently publishes videos, images and recipes to their Facebook page to connect with their audience of 1.4 million people. Each post takes two hours on average to complete from start to finish. Here are more insights on their approach from Clémentine Berlioz-Arthaud, the Senior Social Media Manager at HelloFresh. Excluding the content creation, producing a Facebook post is relatively quick if you are using tools to save time. We use Falcon.io to bulk import all our posts for the week from a spreadsheet. This allows me to review the content all at once for the different channels before it gets scheduled. Next year, a big challenge for our team will be to save more time and optimize our content by using machine-learning and AI platforms to automate the publishing process, A/B test creatives, and target the right audiences at the right moment. Content creation is the most time-consuming. We are lucky to have a photo studio available to produce great visual assets, and we are ramping up our video production team, but conceiving and creating the content we use in our social posts still requires the most time and resources in the content process. We spend a lot of time researching trends, looking at keywords for SEO optimization, finding topics and angles that will fit our audience and our brand. Then we brief the assets to the production team, review the visual products, and edit them before they are approved for publication. Producing high-quality content is very time-consuming, so we want to make sure it is well-strategized and worth the investment. Putting extra time into creating content that will make you proud and serve your brand over time will yield better results long-term, especially if you are able to use the asset again and again. 2. 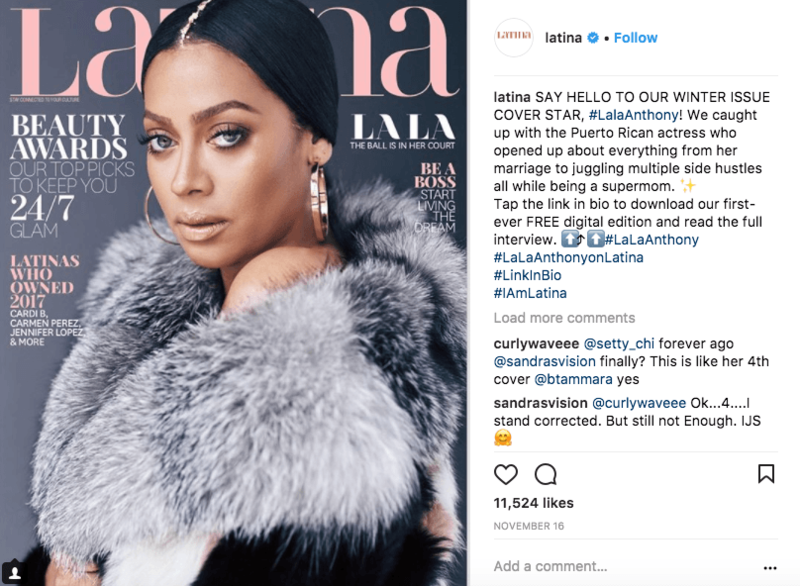 Instagram Posts: Latina Magazine is a lifestyle magazine for bilingual and bicultural Hispanic women that regularly shares images and videos to its Instagram comprised of over 300,000 followers. Each post takes 20 to 30 minutes max to complete from start to finish. Here are more insights on their approach from Carissa Rossi, the Senior Social Media Manager at Latina Magazine. If you add all the fixings and capitalize on what is currently trending among your audience — 20-30 min max. The copy needs to be cheeky and/or factual to compliment the imagery. It is like painting a portrait. Not to mention tagging necessary accounts in photos and researching the most effective tags to use at that very moment and of course, choosing the perfect image. Staying on top of posting and scheduling content that remains evergreen and is trending. We aim to be real and raw. People have strayed from only overdone images on Instagram and want to see real life. 3. 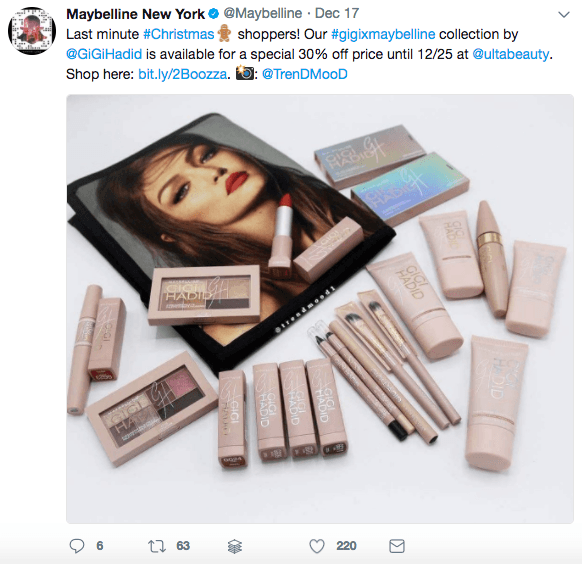 Tweets on Twitter: Maybelline is an American cosmetics company that uses Twitter to publish make-up tips, behind the scenes, tutorials from influencers and more on a daily basis. Each tweet takes one to two minutes on average to complete from start to finish. According to Sarah Mendelsohn, a Social Media Manager at Maybelline, the most time consuming part of this process is creating a trackable link to include with a tweet. 4. Twitter Chat: The #TwitterSmarter chat is a weekly Twitter chat that educates marketers, entrepreneurs and business owners on Twitter marketing. Each weekly Twitter chat takes three to four hours to complete from start to finish. 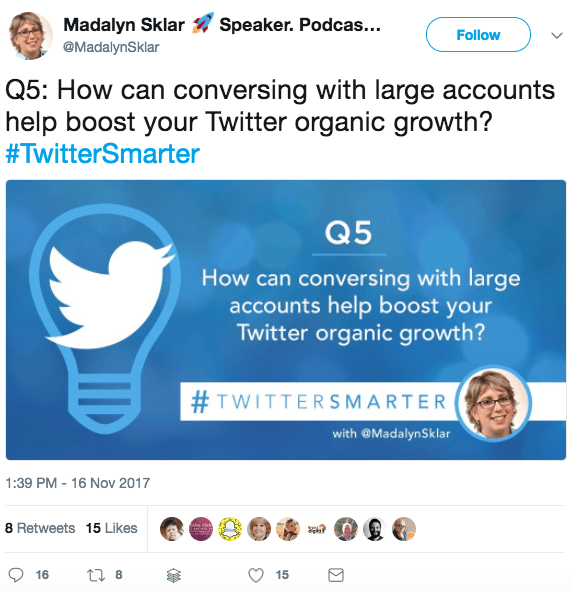 Here are more insights on this approach from the chat’s host Madalyn Sklar, a leading social media expert. I host two Twitter chats. #TwitterSmarter is a one hour chat with eight questions. #SocialROI chat is also an hour with seven questions. A chat session will take me three to four hours a week. The most time-consuming part of the process is promoting the chat. It takes a lot of effort to share it out to your community. I love Twitter chats. I think it’s hands down the best way to connect with people on Twitter. 5. 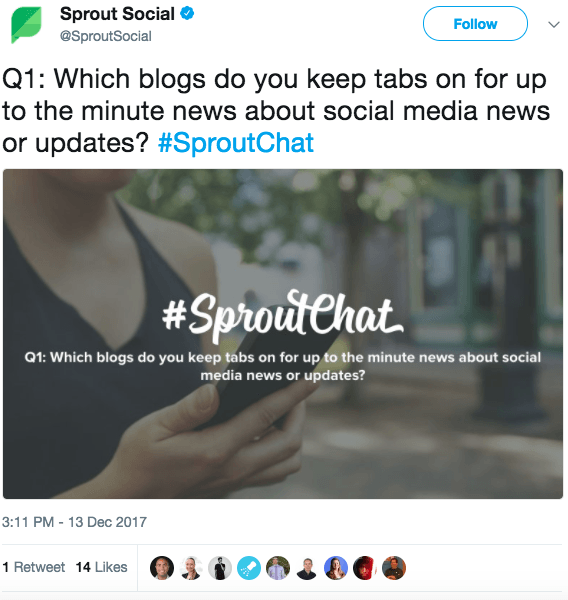 Twitter Chat: #SproutChat is a weekly Twitter chat hosted by Sprout Social that discusses topics and issues relevant to social media professionals and community managers. Each weekly Twitter chat takes two to three hours to complete from start to finish. Here are more insights on their approach from the chat’s host Vera Flores, the Brand Advocacy and Community Specialist at Sprout Social. #SproutChat runs weekly every Wednesday from 2-3pm CT and we ask six questions throughout the hour. The time really varies week to week when creating the content for #SproutChat and depends on the topic. We oftentimes have guest hosts for #SproutChat so there’s a fair amount of back and forth with making sure that questions are tailored for our audience. However, including writing our weekly recap and creating promotional tweets for the chat I spend about two to three hours each week on chat creation and writing. Recaps are the most time consuming because I always want to make sure that I’m summarizing the themes of the answers to the questions. With recaps, I want to make sure that we’re not missing any integral details as recaps serve as the hub for people to turn to if they weren’t able to make the chat. I don’t mind spending the time on writing #SproutChat recaps because of the importance they serve to our community. People can look back and gather information far past the date of the chat if needed and being featured in a recap can also serve as content to share on participant’s social networks. We’re always thinking of new content for these recaps and maybe 2018 will look a little different. 1. The Art of Charm is a lifestyle podcast that teaches business lessons from top experts, how be more charismatic, what it takes to master networkinging and more in 40 minute to an hour long episodes. Each podcast episode takes 20 hours to complete from start to finish. Here are more insights on their approach from Jordan Harbinger, the host of the podcast and co-founder of the Art of Charm, Inc.
Production – editing and mastering the show audio. Preparation is a close second because that can often take six to ten hours. Production is usually around the same. Why have you taken this particular approach to content? If you’re putting something out there it has to be the best, otherwise it’s just a commodity since there are so many mediocre podcasts out there. Out of 400,000 with over 1,000 new ones added daily, you not only have to have experience and talent but you have to outwork everyone as well. Has the process of creating episodes of your podcast gotten easier with time or more difficult? It’s both. When you know more you find better tools and workflows, sure. But you also find that there are things you can and should be doing or fixing and you want to add those in as well. To make the show 1% better at the cost of an hour is still worth it to the craftsman, as well as the businessman. 2. Rework is a podcast from Basecamp that provides unconventional wisdom around finding better ways to work and run a business in 20 to 25-minute episodes. The podcast takes the time commitment of one full-time employee and the part-time support of another staffer to complete their episodes from start to finish. Here are more insights on their approach from Wailin Wong, the co-producer and host of the Rework podcast. It’s hard to say because we’re always working on multiple episodes at once, but making Rework is a full-time job for me and an almost full-time job for my co-producer/host, Shaun Hildner, who also makes marketing and support videos for Basecamp. Between research, brainstorming, interviews, multiple rounds of edits, and promoting the show, my 40 hours a week get filled up pretty easily. The edits are the most time-consuming, but also one of my favorite parts of the process. For a typical episode where we have three segments/stories, I’m doing interviews of 30-60 minutes and excavating maybe 10-15 minutes of tape from those conversations. Then I put together a rough cut of that segment for Shaun. He’ll come back with some notes or do a re-cut; I consider his edits and we might go back and forth again. Then we decide the order and overall structure of an episode and listen to the entire thing so we can decide what to say in the intro/outro and in transitions between segments. We might go a couple rounds on that script, and then we record our tracking and listen to the episode again. We’ve been doing a podcast for almost three years now; our first one was called The Distance and we started it to see whether we could draw in a larger audience via audio than what we were getting with our written longform stories on the same subject (long-running businesses). We were also interested in audio as a medium because that was shortly after Serial had been released, and there was a lot of excitement about podcasting in general as a result. I’ve really loved working in audio and haven’t looked back. I like the intimacy of being able to hear the voice of a business owner tell their story and the energy you get from a good conversational interview. And we’ve gotten a much bigger audience for our audio stories than we were getting with our written ones. Because we made 50+ episodes of The Distance, certain aspects have gotten easier or at least more familiar. I used to be 100% anxious about using the recording equipment and now I’ve gotten that down to 90%, which I consider a huge personal success. As I’ve been training my ear and adapting my print reporting skills to audio, the basic mechanics of producing an audio story have gotten easier too. But as we get better, our standards get higher too. It’s hard for me to listen back to early Distance episodes now, just as it’s hard for me to read some of my old newspaper stories. We like to push ourselves to do even better stories or experiment with the form, whether that’s pushing for more powerful moments in interviews, being pickier about what hits the bar for a good story, or trying something new with structure, like we did with the Dr. Bronner’s episode. It’s an exciting time for audio and the bar is getting raised all the time, so we’re surrounded by great examples of what the medium can accomplish and that’s very motivating for us. 3. The Goal Digger is a business podcast for creative girl bosses that features a live-workshop style conversation in 45 to 60-minute episodes. Each podcast episode takes a few months to complete from start to finish as multiple episodes are in production at once. Here are more insights on their approach from Jenna Kutcher, the host of the podcast, a marketer, photographer and business educator. We try to meet our audience in a variety of ways- and that includes with different episode lengths! Monday episodes are always with a special guest and those usually run between 45 to 60 minutes (solely because they are so wildly interesting and I can’t stop asking questions!). Our Wednesday episodes are generally a bit shorter because it is just me on air, hosting a solo show, and those run about 30 to 40 minutes. But the most exciting part of this answer, is that next month we are trialing with “Friday 5”, a brief episode dedicated to quick, tangible advice to help you tackle your goals. We work months ahead over here at Goal Digger! We want to ensure we are thinking ahead and being strategic to give the best possible episode to our listeners. Our timeline generally flows like this: A few months before the episode airs, we will reach out to guests, confirm interview dates, and establish topics. Once the logistics are set, we spend an hour recording with each guest and then send it away for mixing. Once the episode is finalized, we write shownotes, craft appropriate freebies, create show graphics, and share away on social media! Undoubtedly, the process of setting up logistics with guests. We strive to get in-demand, top-of-the-line experts as guests which generally results in very busy schedules trying to meld! In addition, we love to “batch” our interview days– meaning that we would rather do several interviews on one day instead of spreading them out over a week or two. It definitely takes a lot of back and forth to set up a time, date, and gather all the needed information, but it is a crucial, unavoidable part of the podcasting world! We absolutely love batching our work over here at Goal Digger! We set aside specific days for solely one task. For example, when we interview guests, we would much rather do five to six interviews in one day than one to two interviews on a variety of days. It is also much easier to focus in and get in the “flow” of interviewing when you do multiple in a row. We also do use this batching method with all facets of podcasting: writing show notes, creating graphics and crafting our social media plan. This method of working keeps us efficient, organized, and ahead of the game. It’s hard for me to answer this! We have definitely fine-tuned our process and made it incredibly smooth and efficient, but as our podcast grows so does our “dream list” of big names, big guests, and big strategy! We are a team of go-getters, which means we are hardly ever satisfied! As our show grows our plans and goals grow right along with it! So to put it simply– we are definitely more efficient on a foundational level, but working our tails off to get our message out to as many listeners as possible! 1. Live Streaming Pros is a weekly Facebook live show airing on Tuesdays, Wednesdays and Thursdays teaching viewers how to succeed with different types of live video for 30 to 45 minutes per episode. Each installment of this Facebook live show takes one month on average to complete from start to finish as they are prepared in bulk and vary in length. Here are more insights on their approach from Luria Petrucci, the host of the livestream and the co-founder of Live Streaming Pros. I take a very strategic approach to live video, and it’s come from over 10 years of doing live video. There are two kinds of live videos. One is live shows. A weekly show where you show up every week at the same time and your audience comes to rely on this habit. You provide value and build trust. These can be done from your phone, but often you want to strive for a Level 3 or Level 4 live streaming setup so you can add more professional assets and build credibility. Two is life streams. These are from your phone and raw. On the go. Behind the scenes. Fun. They’re meant to open your personality up to the viewer in a bigger way and connect on a more human level. In terms of length, live shows are typically 30 to 45 minutes for us, and life streams are five to 20 minutes, depending on the content. Keep in mind, it takes 20 minutes for you to reach your peak number of live viewers. This is why your live shows should be on the longer side. If you’re new to live, start with what you can do, then grow! When it comes to preparing a show, you can be effective in five minutes. Or it can take longer. It all depends on the content! I look at a month’s content and strategize on what content to create. I then prep it in bulk. That way, I’m not rushing last minute and it’s more effective that way. More thought out. For example, if you have a product or service or event or book you’re launching, you’d want to use a content strategy where you create very targeted content that creates interest, excitement, and buzz towards your launch. This way, your viewers are anxious to buy! It takes me a day to plan out a month’s worth of content, including the show flow, prepare my Messenger Bots, etc. 2. Taking Note is a Facebook live show from Evernote airing a few times a month for 25 to 35 minutes showcasing productivity tips, interviews with experts and different ways of using Evernote to stay organized. Each installment of this Facebook live show takes six to ten hours on average to complete from start to finish. Here are more insights on their approach from Lolitta Tracy, the Social Media Manager at Evernote. The ideal length of Facebook Live events for us is between 25 and 35 minutes. But if the audience is particularly engaged with a topic, we’ll broadcast for up to an hour. How long it takes to create depends on the content format of the Facebook Live. If it’s a product demo, this takes about 10 hours, including writing the script, rehearsing, recording, creating digital assets, editing, promoting, execution, and reporting. If it’s a Q&A with a notable guest, this takes about six hours, including communicating with the guest, collaborating on a script, rehearsing, promoting, executing, and reporting. For product demos, it’s definitely the asset creation. For interview-style broadcasts, it’s all of the logistics of communicating with guests and getting them to our HQ well-prepared. Social media is all about engagement. It’s a place to have one-to-one conversations with your audience and the best way to do that is to actually talk with them in an authentic and real-time way. Has the process gotten easier over time or more difficult? It’s becoming easier in that we know what we’re doing so executing a Facebook Live event isn’t as daunting. But, with each live event we identify things to improve on so the workload doesn’t decrease. For example, we’ve started using Wirecast as our broadcasting software, allowing us to do all sorts of neat (and labor-intensive) things like having video intros and outros, adding custom images to the broadcast, and taking advantage of higher quality cameras and microphones. 3. Classroom Without Walls: Using Technology to Reimagine Education is a weekly Facebook live show that features 30 to 50 minute interviews with educators and communications professionals about using social media and tech as a teaching tool. Each episode of this Facebook live show takes three hours on average to complete starting with the prep work and ending with the completion of the live interview. Here are more insights on the approach behind this show with its host Dr. Ai Addyson-Zhang, a professor at Stockton University, blogger and consultant. When going live with a guest or interviewing an expert on a specific topic, it can take hours to prepare, find the guest, prepare interview questions and finally host the interview live. When I did my first Facebook live streaming interview with a professor who was interviewed by NPR, it took me probably a few days to get prepared. I spent lots of time trying to find the best guest for my first episode and also figuring out the technical side. I experimented with going live natively on Facebook first and later started using third-party tools such as Zoom and BeLive. It took me several live streaming sessions to eventually decide on the platform that works best for me. Now, as my show has gained some traction and more engagement, I recently invested in a ring light and microphone to enhance my audio-visual quality. Nowadays, it takes me about three hours to prepare a live streaming interview. The technical side and being in front of a camera are no longer challenges for me. The most time-consuming part is content preparation. When I go live solo, I want to make sure that I have good content to share by having an outline to list the main points I want to discuss. I don’t want to waste anyone’s time especially given how much noise is on social media already. When I do a live interview shows on Facebook, I can spend hours consuming a specific guest’s content. However, I am enjoying this process and I love getting to know my guests. That whole process really enhances the value of my show. I try to always keep my community and audience in mind. I was on Snapchat on a daily basis and spent hours there connecting with people and telling stories. Snapchat helped me become much more comfortable with being on camera and got me hooked on digital storytelling in a much more interactive and intimate way. After about two years on Snapchat, it is kind of a natural step for me to bring my storytelling to a more public platform. Plus, my audience is on Facebook, which I realized over time. I want to engage with my audience more and serve them better. Hence, I developed the idea of hosting a weekly Facebook live show focusing on my passion and expertise. My show has helped me build a community who openly shares and co-creates content with me. To me, that’s my favorite part of being on social media. A hundred percent easier. The first time you do anything it’ll be challenging. As I continue to practice my live streaming craft, I am becoming a lot more efficient and effective at sharing my content with my community and providing value. The audience calls the shots. The decisions regarding their content are all made based on these creators actively listening to what their audience wants. In many cases, they make educated guesses about their challenges and preferences. Knock out repetitive tasks with batching. Whether conducting interviews, finding images or otherwise, complete a specific task in a single period of time during the week instead of tackling it in smaller doses across multiple days. Identify your angle. What makes the work of these companies a success is that they cover a distinct viewpoint regardless if their industry is the same or their focus is similar to others. The format is important, but their perspective is what matters most. It’s an iterative process. Creating content will likely get simpler as you master repetitive tasks and more complex as you expand with new tactics, formats and more. You’ve got to be nimble to succeed and still enjoy making the content. What’s the most suprising lesson you’ve learned from how these creators produce content in a timely manner? Sound off in the comments below. Brian Honigman is the author of this piece, the president of Honigman Media and a leading marketing consultant. 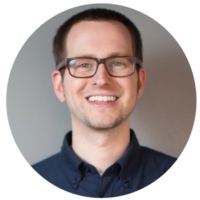 He’s the author of numerous marketing courses for NYU and LinkedIn, an executive coach for marketers and corporate leaders and instructor of corporate training programs on marketing for organizations like Time Inc, Econsultancy and the Weather Company. Contact him to schedule an in-person training or coaching call.